Usually by now I have worked myself into a state and spouted about the unnecessary excess and the vulgarity of it all - putting others off their Christmas entirely. I would have grudgingly bought the crackers, the mince pies and half a tonne of stilton and grimaced my way through the church nativity. I am the the Grinch and the Scrooge combined, I feel bad about that - wishing I could enjoy the magic of the season like everyone else. We seem to going through the same motions here in Mallorca, but it feels entirely acceptable this year. 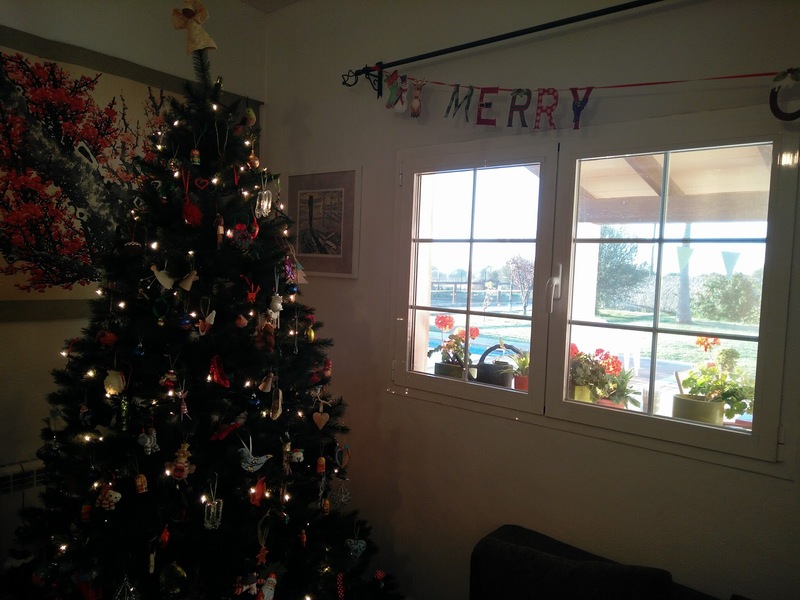 There is a tree - both fake and out of place as the sun streams through the window. I can't find mince pies, crackers or Christmas cards but there is stollen and panetonne a plenty. The Chinese supermarkets have provided the tat to dress up the ponies. 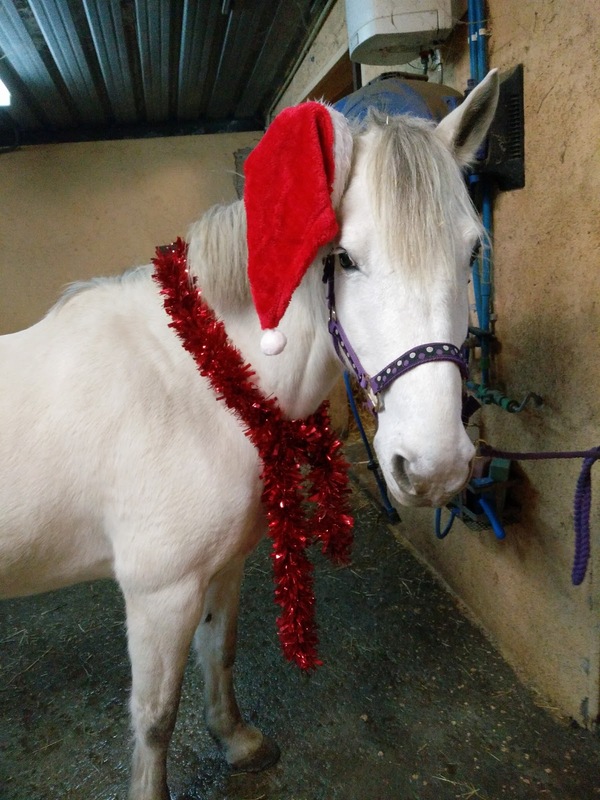 Spot begrudgingly coped with the tinsel but prefers not to wear his reindeer antlers. We have had carol concerts by the sea, the boats twinkling in the marina while the children sing to Cliff Richards classics. There has been mulled wine and ice skating. Christmas markets and advent calenders. And I still feel sane. Maybe Mallorca has taken the Grinch out of me after all these years.